By contributing illustrator Julia Cagninelli. You can check out more of her great work here. The residents of New York City purchase, decorate, love and then ultimately discard a lot of Christmas trees each year. If you live in the city or have spent any time here in January, you will see the streets literally stacked with bare Christmas Trees. We posted about this phenomenon earlier in the month with The Life of a Christmas Tree in NYC. 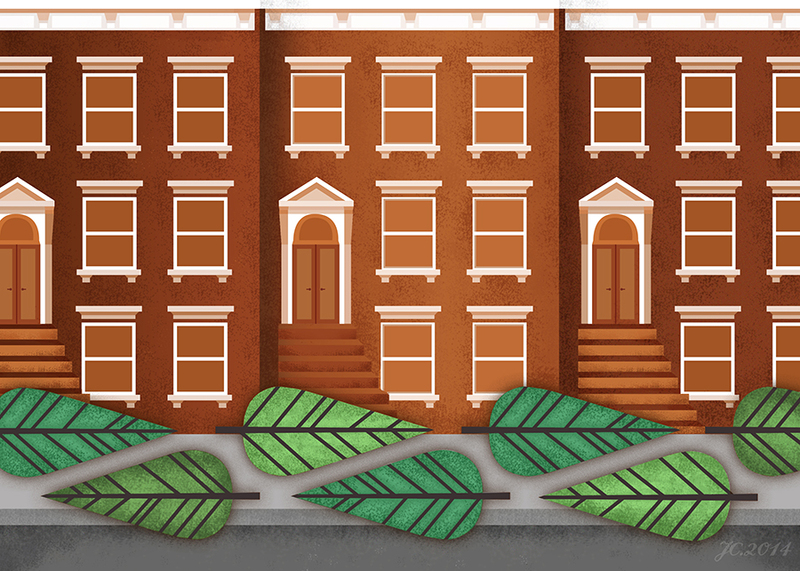 Julia created this illustration of Brooklyn brownstones with once decorated Christmas trees in her Clinton Hill neighborhood.